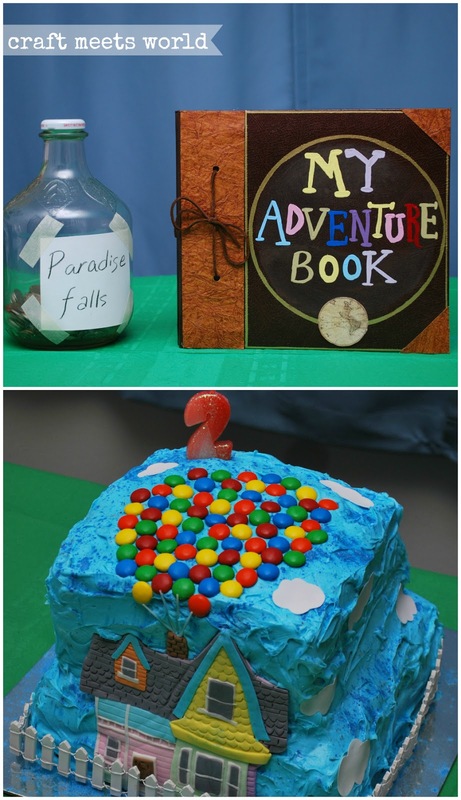 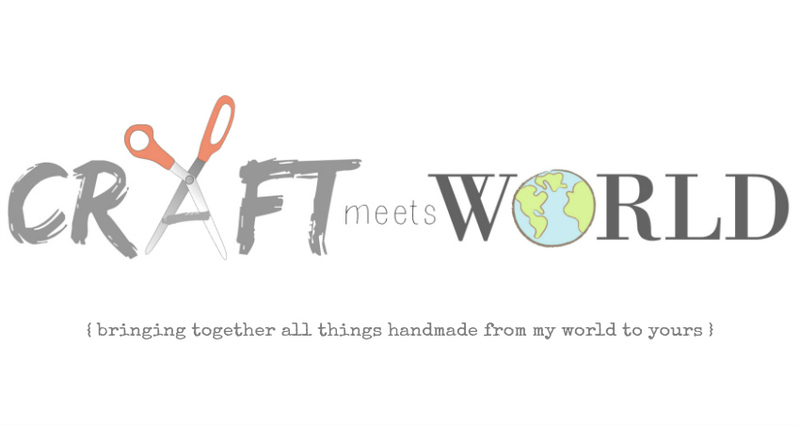 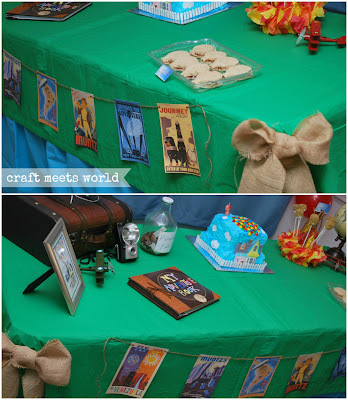 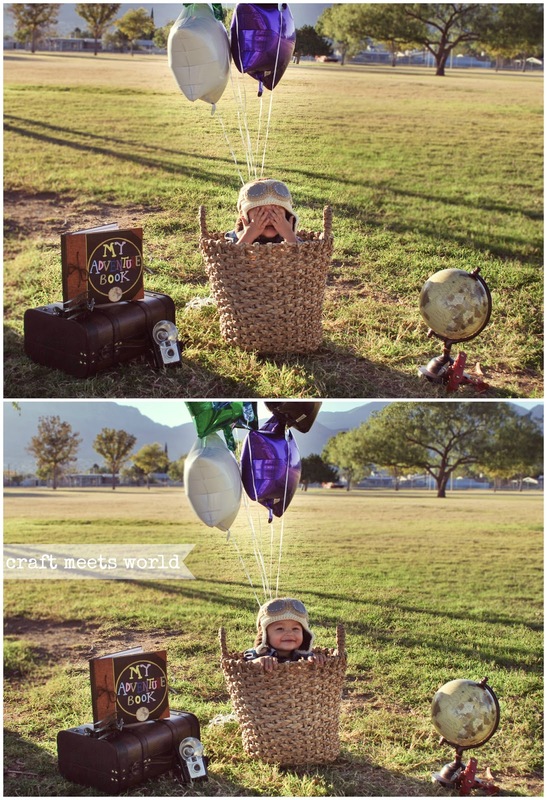 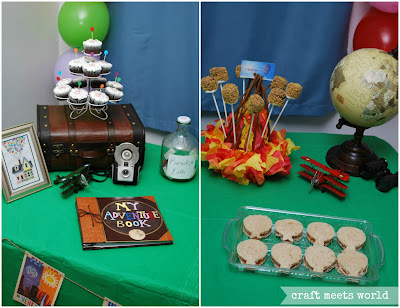 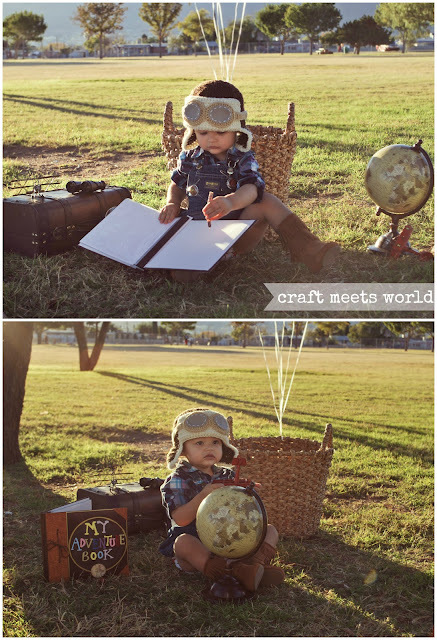 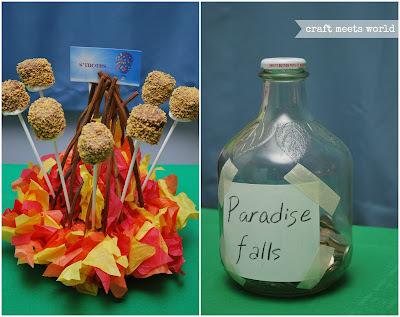 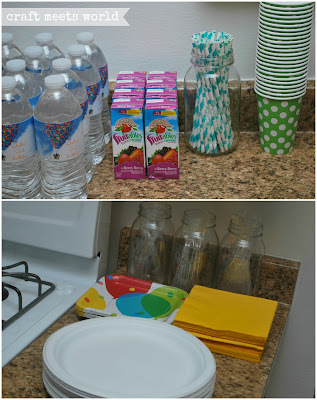 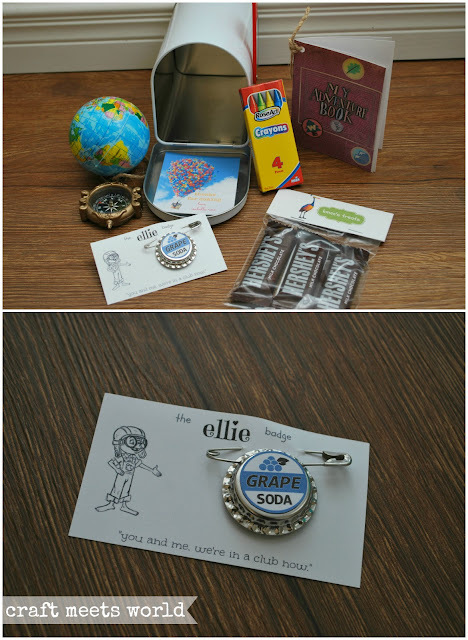 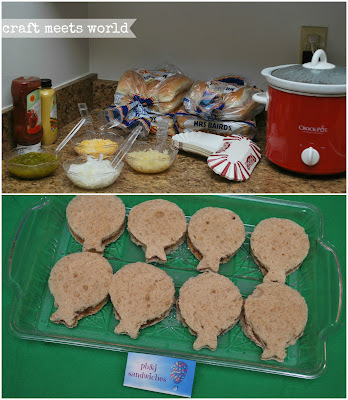 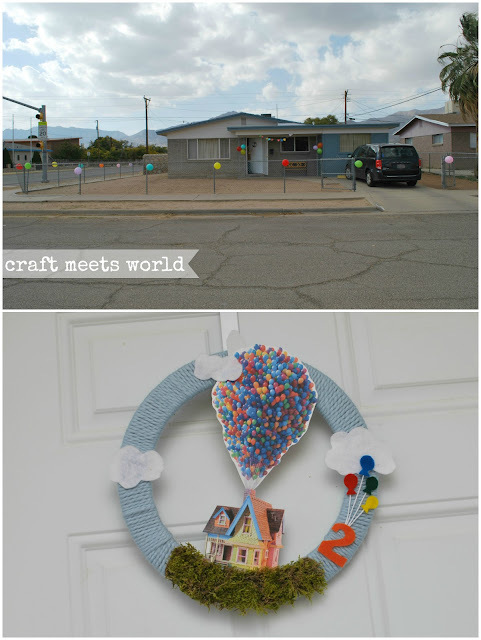 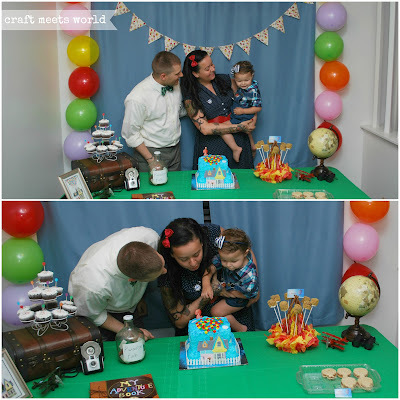 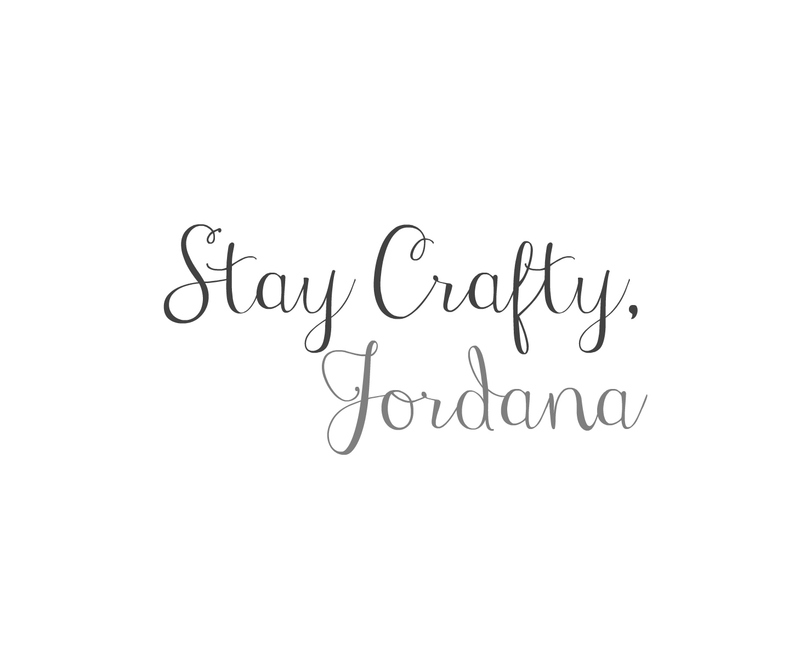 Craft Meets World: "UP" Birthday Party! "UP" is one of my favorite movies. Rosie was going through a phase where she was pretty obsessed with balloons so I thought this party theme was PERFECT for her 2nd birthday. 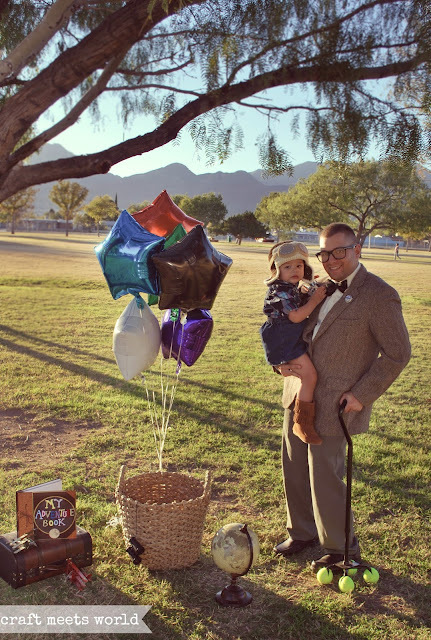 She really loved watching this movie with us so we made sure to have it playing in the background on the day of her party. 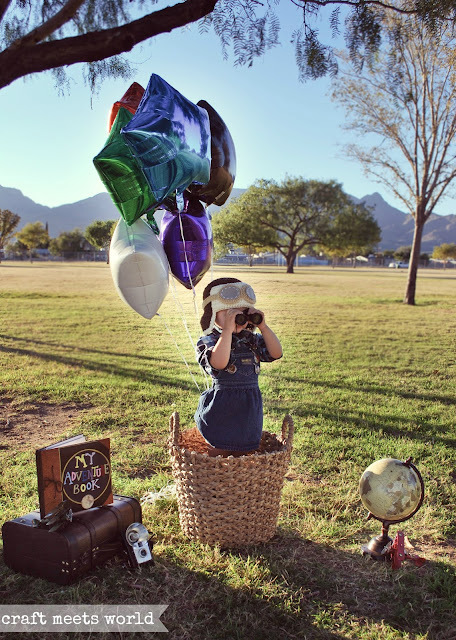 A few days before her second birthday I took her to the park and did a little UP themed photoshoot. Even daddy got involved this time and dressed up a little like Carl for one of the photos. I made her an "Adventure Book" just like the one Ellie has in the movie. 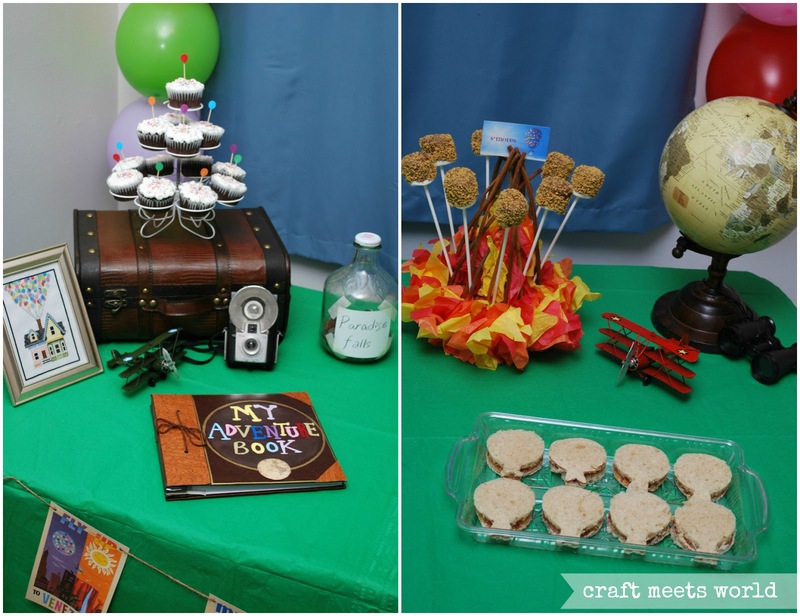 I also made her hat and an Ellie grape soda badge along with a ton of other DIY props throughout this entire party. 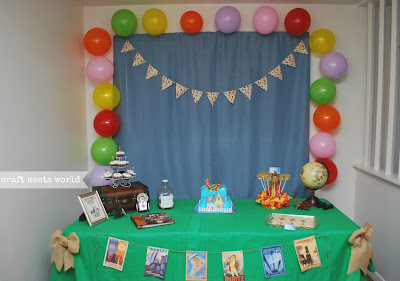 I really loved this theme and I think this is my favorite party so far.